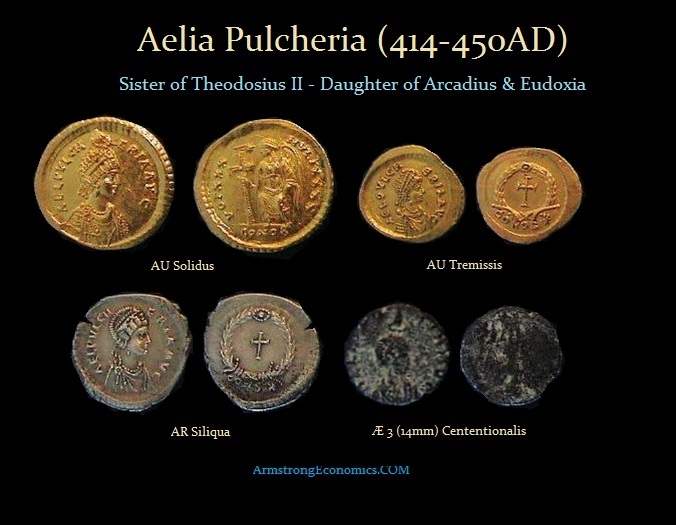 Aelia Pulcheria was born in 399 AD the daughter of Arcadius and Eudoxia. 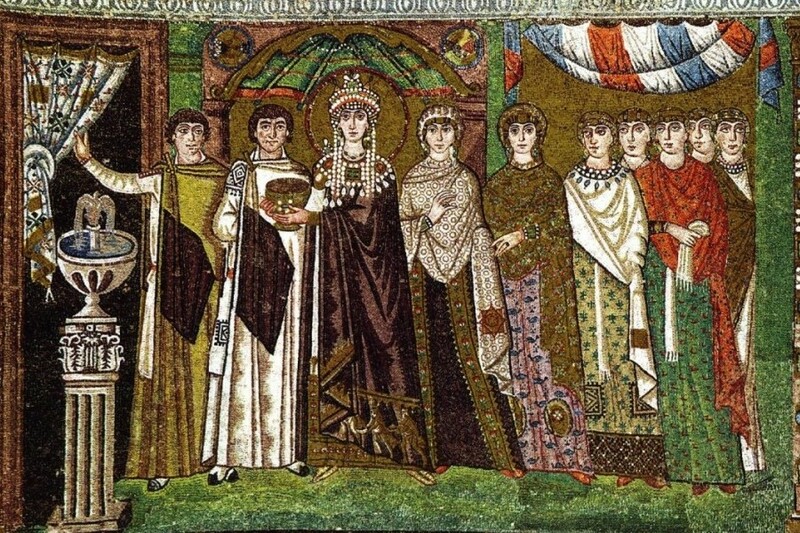 On July 4th, 414 she was raised to the rank of Augusta and assumed the regency when she was only 15 years old on behalf of her younger brother Theodosius II. Aelia Pulcheria was the true power behind the throne. Theodosius II had no ability to speak of and Pulcheria became the effective ruler of the Eastern division of the Empire. Virtually all the reforms and building projects were her design leaving her brother not much more than a figurehead. Pulcheria exercised her control in all matters even selecting her brother’s wife. She maintained her control of the state until her brother died in 450 AD and even then she decided who would be his successor. Pulcheria died in July, 453 AD leaving all her worldly possessions to the poor. All of Pulcheria’s coins were struck in Constantinople, and for the most part, parallel the issues of Theodosius II. The obverse of her precious metal coins all carry the same legend and all depict the hand of God. The prominent cross on this reverse type was introduced by Pulcheria and the Vota on her coins are those of Theodosius II.